Some people like Davey Crockett and Abraham Lincoln are looked-up to with saintly reverance. Perhaps we should remember that they had agendas and and are not as pristine as they have portrayed. I’m a student of history and I’m going to explore three connected events in U.S. history: The Mexican-American War; militant abolitionist movements (Bleeding Kansas and Harpers Ferry); and the U.S. Civil War. This poem introduces a new style where I present three events, people, or opinions. Also, every three lines rhyme instead of every two lines. I’m calling this style Triple Rhyme Poetry. So consider this a Triple Rhyme Time Poem. Also, for your enjoyment, movie titles and book titles or hyperlinked to their respective pages on IDMB.com or Amazon.com. Shiny, new pair of dimes is about changing old, dirty paradigms with new, thought-provoking paradigms. I’m going to drop some history on you and you’ll notice that every three lines will be patterned in rhymes. I’ll present historical events in this poem that is need-to-know information because these are changing times. New paradigms are necessary because we have to rethink how we think about and do things. Critical thinking and analysis is so comforting because of the clarity it brings. I’m just a truth-seeker that shares facts as truth gives you power like you were a Lord of the Rings. In this poem I’ll present three events in United States history. To many, the behind-the-scenes stories remain a mystery. Light will be shed on the dark shadows so put on your thinking caps and listen to me. The Mexican-American War (April 25, 1846 – February 2, 1848) was a warm-up for the future generals in the U.S. Civil War, you know. We’ll first talk about a few facts of Mexican-controlled Texas so here we go. Texas was owned by Mexico, but U.S. settlers were welcome to live there, but after 1830 slavery was not allowed. The problem was slave-holders and slave-traders settled in Texas and became quite a noisy crowd. Sometimes slaves would escape south of the border to live free and enjoy all of the natural rights that human beings are endowed. Slave hunters would try to recapture them but the Mexicans would not turn them over so they could become enslaved again. This really pissed-off slavers and they had feelings of chagrin. 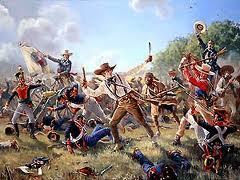 Fighting broke out against the Mexican government and eventually Davy Crockett and other rebellious Texans were slain by Santa Anna’s men. Hmmm… I wonder why when I was in school I did not get this history lesson? That was a facetious question as I know that they were passed over in place of just more Lies My Teacher Told Me so there is no need for stressin’. Kansas was bleeding from 1854 to 1861 as the idea of it entering the union as a free state was met with much resistance. The nation was divided over the issue of slavery, but the cotton gin made plantation slavery generate even more dollars and cents. Harriet Beecher Stowe’s book, Uncle Tom’s Cabin, caused abolitionist sentiments to incense. Militant abolitionist John Brown put his bullets where his mouth was and fought against slavery as he felt that it was the Christian thing to do. 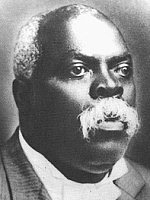 After fighting in Kansas he embarked on a mission to cite slave insurrections among those of a darker hue. He, his sons, and a few Black men raided the federal arsenal at Harpers Ferry in Virginia and from this event the U.S. Civil War would ensue. Harpers Ferry was initially taken by him and his men, but eventually he was overwhelmed and captured by marines under the command of then Colonel Robert E. Lee. 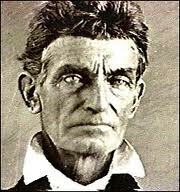 John Brown understood that the slavery issue would keep factions on both sides in a state of constant enmity. President Abraham Lincoln’s Emancipation Proclamation of 1863 freed slaves but what was his true drive? Was it because he considered Blacks equal to him or was it a political move to further motivate the hive? The hive that wore union blue uniforms that eventually beat those that wore gray in 1865. Saying that the U.S. Civil War was fought to free Black slaves is one of the biggest lies ever told. It was fought to return break-away southern states with all of their natural resources back into the fold. The slavery issue was used as a cat’s paw so that Great Britain and France wouldn’t support the CSA (Confederate States of America) and that gamble was very, very bold. Juneteenth is celebrated on June 19th every year since 1865 and is called “Freedom Day” by American Blacks. On that day slavery was abolished in Texas and the overseer’s whip no longer cracked on black backs. So in reality, upon closer review, the Emancipation Proclamation was ineffective when you compare the evidence stacks. The South was a separate country for a time called the Confederate States of America, you see. President Lincoln really had no jurisdiction over the people who owned Black slaves because as a separate nation they had sovereignty. Don’t hear me wrong because the enemy of my enemy is a friend to me. I just want to view the causes of the U.S. Civil war in proper context. If I think for a minute that it was all about Black people I’d fall for any lie that would come next. 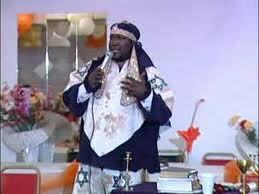 The truth is that Black were pawns in a political game and to think otherwise gets me vexed. To be honest about Abe I’d say that he was a shrewd and practical in his decision-making. He knew that reuniting the country was going to be a huge undertaking. Even though dealing his race card would up the ante for his assassination and popularity he was forsaking. These are three true stories of American history that may be somewhat bitter to swallow like lemons or limes. But the truth has to be told because these are changing times. I gave you more than my two cents as I gave you a shiny, new pair of dimes. I couldn’t resist adding the below irreverent rant by comedy legend, George Carlin, on this very topic. It makes you think. Below is an 11-part haiku chain poem. I hope that you like it. pearly gates. Milk and honey. you are damned. No hope. So what is your life goal? I am very disappointed to hear news that the only “democracy” in the Middle East, Israel, is behaving like South Africa under legalized apartheid or even Nazi Germany. Shame on Israel! 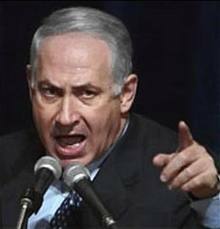 Israeli Prime Minister Benjamin Netanyahu has described African migrants in Israel as “illegal infiltrators” that threaten “our existence as a Jewish and democratic state.” Knesset member Miri Regev, a member of Netanyahu’s Likud party, described refugees as “a cancer in our body” while addressing a mass rally that would shortly devolve into a riot targeting an African neighborhood in Tel Aviv. (“Israeli Racism Against Africans Proves Israel Is Not a Democracy”). Write letters to your congressmen and your senators about this. Spread the word to churches that feel that they must go to visit the Holy Land in Jerusalem. Go to other holy sites instead until Israel gets its act together. THIS IS NOT A CATEGORICAL INDICTMENT OF JEWISH PEOPLE! I’m actually counting on Jewish folks like best-selling author Shlomo Sand to speak out against wrongs being done against people in Israel. This poem is written in what I call a Haiku Chain. There are 16 haiku poems strung together to create this poem. Please learn from this and take action. to have slipped his mind. me. Shame on you, sir! This poem is a series of 12 haiku poems that are strung together in a series to tell a story. According to Dictionary.com, a haiku is a major form of Japanese verse, written in 17 syllables divided into 3 lines of 5, 7, and 5 syllables, and employing highly evocative allusions and comparisons, often on the subject of nature or one of the seasons; or a poem written in this form. This poem introduces the reader to Agnoticism. 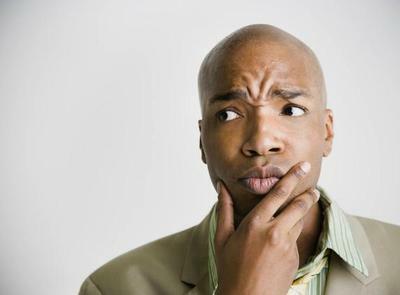 According to Wikipedia, in some senses, agnosticism is a stance about the difference between belief and knowledge, rather than about any specific claim or belief. In the popular sense, an agnostic is someone who neither believes nor disbelieves there is a God, whereas an atheist disbelieves in God. In the strict sense, however, agnosticism is the view that human reason is incapable of providing sufficient rational grounds to justify knowledge of whether God exists or does not. Within agnosticism there are agnostic atheists (who do not believe any deity exists, but do not deny it as a possibility) and agnostic theists (who believe a God exists but do not claim to know that). This poem has 12 verses – 12 haiku tied together to tell a story/present a message. Dismiss things you can’t confirm. and at times frighten children. They just are not true. Should not truth be apparent? religion is the truth, friend?